Want to get rid of your household waste? Looking for the best option? 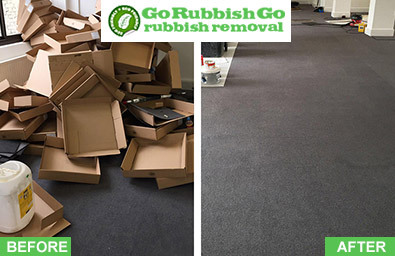 Go Rubbish Go is a long-standing house clearance company in SW8 that offers top quality services at competitive prices. We will satisfy your every rubbish-related need and even exceed your expectations. 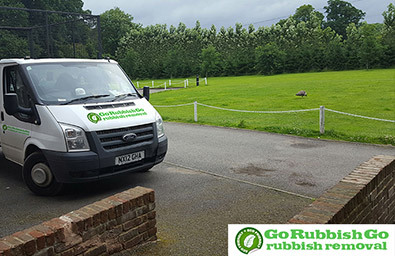 We have a competent and professional team who will surprise you with their friendly attitude and experience in managing and disposing of waste. Our team will collect and clear the waste in an eco-friendly way so we will not harm the environment or affect the health of the people around you. Our SW8 house clearance Wandsworth are the best and are all offered at an affordable price. Why not give us a call on 020 8610 9182 and experience an amazing job. Wandsworth house clearance is a tedious and stressful job. You may need someone else to do it for you at an affordable price. Well, our house clearance company offers this service at a pocket-friendly price. We have a very transparent pricing system and we only charge for the amount of waste we collect and the time necessary to complete job. There are no hidden charges or surprise fees when we are on the job. We are the best house clearance Wandsworth, SW8 company. Why? Our services are exceptional quality and are the cheapest compared to other companies. Call us now to book and you will see for yourself! What Is Involved In House Clearance In Wandsworth SW8? Book now and we will make sure that you will live in a clutter-free home in SW11. Junk and waste eat up your space and make your home look untidy. Our SW8 house clearance techniques are reliable and we dispose of waste in a responsible way. We will collect and remove all the junk and waste during your house clearance job Wandsworth. We can collect any type or amount of rubbish – from large pieces of furniture such as beds, tables, sofas and chairs to electrical appliances such as fridges, washing machines and ovens. We will dispose of your items in an eco-friendly way and we will recycle and reprocess most of them. Contact us on 020 8610 9182 and obtain a free quote! How does our House Clearance Company Wandsworth SW8 Dispose of Waste? Our house clearance company collects a lot of waste and junk from homes in SW8. Items such as old furniture and electrical appliances need to be disposed of responsibly. We clear the waste following all legal regulations and making sure that the process is as green as it can be. It should not harm the environment or the people around you. Our Wandsworth, SW8 house clearance services are eco-friendly and will help reduce your carbon footprint. We recycle most of the waste and junk that can be recycled and those items which cannot be recycled we send to the local landfill. This is best way a house clearance company should dispose of waste to ensure minimal pollution of the environment. Many house clearance Wandsworth companies claim to be the best in but most of the companies cannot even reach your expectations. We are the best! Why? We have a lot of customers in SW8 who loyally use our house clearance services and would gladly recommend us to you. Our competitive prices cannot be beat by any other company in SW8 and we have a reputation for providing an affordable and stress-free way to remove waste. Give us a call on 020 8610 9182 and experience our amazing services at low prices. Call right now and you will get a heavy discount! 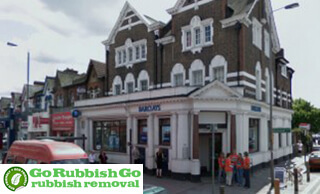 Go Rubbish Go is widely known for its reliable and affordable house clearance in SW11. We are a registered Wandsworth house clearance SW8 company and have a solid work experience in managing waste. All our services are guaranteed and easy to book. We have a reliable customer care team available 24/7 who can help you book, offer you a free quote and answer any questions you may have. To book our services, get in touch with us on 020 8610 9182! Hire us now and we will clear out you house in the quickest and most efficient way possible. Situated in the Borough of Wandsworth, in South West London, Wandsworth derives its name from a river which flows into the Thames in the district – the River Wandle. The extensive Thames riverfront in the northern part of the area was once occupied by wharves and today mainly by apartment buildings and a few restaurants and bars, like the Waterfront and the Ship Inn. Wandsworth Common can be found about a mile the south of the Thames, on East Hill, and it borders the area which is home to some of the most expensive townhouses in the capital – “the Toast Rack”. Southside shopping centre can be found in Wandsworth High Street and the De Morgan Centre and the Wandsworth Museum are two other landmarks worth a visit. There are three railway stations and one tube station nearby.